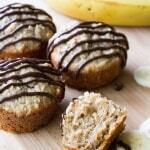 10 Super Easy, Super Delicious Healthy Treats to keep your healthy habits long past January. Who said resolutions have to be hard? Can you believe it’s the last week of January? I only adjusted to 2015 in about November of last year – so clearly I’m in denial when it comes to calendar months. 2015 2016 has been pretty successful though. I made a delicious Cookie Cake, started connecting with you on Instagram, and perfected my new brownie recipe (more to come soon!!!!). I’m also doing a yoga challenge to keep me calm (which I’m hoping will lead to fewer run-on sentences) – so there’s been some healthy choices this year too. I always find February hard when it comes to resolutions though. The excitement of new goals wears off, the sweatpants beckon, and it gets increasingly easier to order pizza instead of making that kale salad on Friday night…. 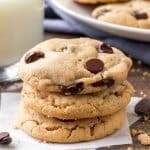 So to help us keep our resolutions past January, I’ve compiled my Top 10 Healthy Treats that are completely delicious and won’t break your new habits. 1. 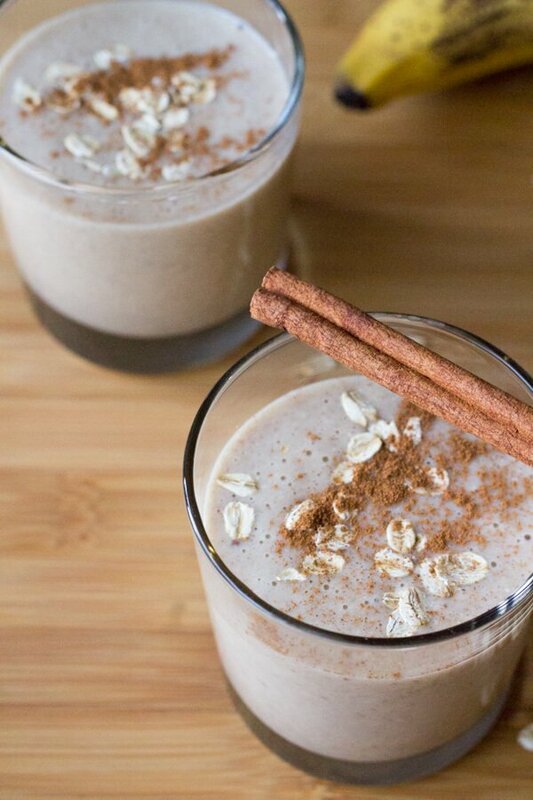 Oatmeal Cookie Smoothie No exaggeration – this smoothie actually tastes like a delicious oatmeal cookie but without the gluten, sugar or dairy. So delicious as a snack or breakfast. 2. 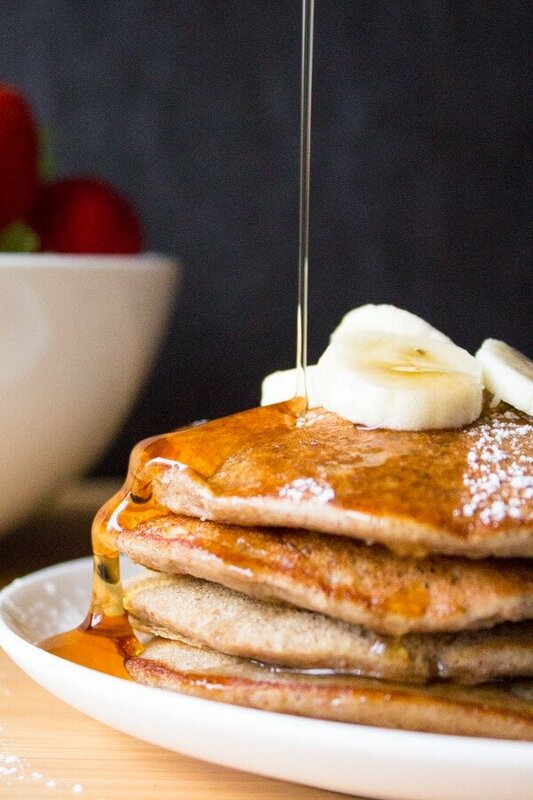 Skinny Banana Pancakes The words pancakes & healthy don’t usually go together – but these Skinny Banana Pancakes are made without refined sugars, are gluten free & still give you ALL the flavor of your favorite comfort food. 3. 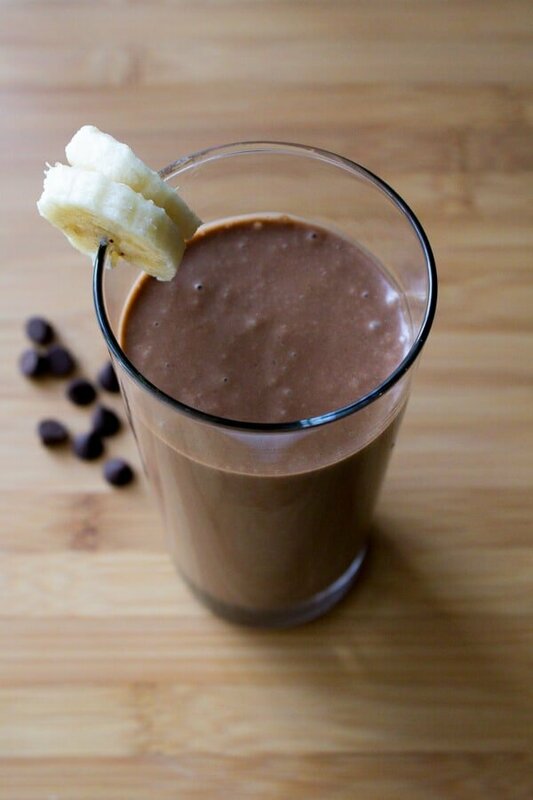 Chocolate Peanut Butter Banana Smoothie Thick, creamy, decadent tasting – yet totally guilt free. This smoothie is sweetened with honey and keeps you full with extra protein from the peanut butter. 4. 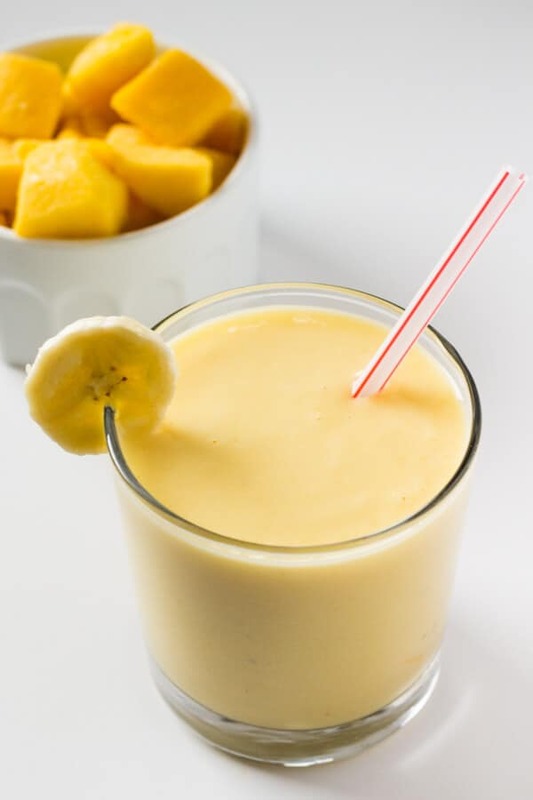 Mango Fruit Smoothie Super tropical & super delicious – this mango smoothie made with bananas, mangos & pineapple will remind you of a delicious frozen cocktail. Only its healthy AND breakfast approved. 5. 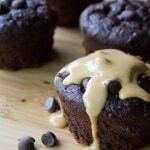 Healthy Peanut Butter Muffins with Chocolate Glaze These muffins are sweetened with honey, have no butter & are naturally gluten free because they use oats instead of flour. So…. 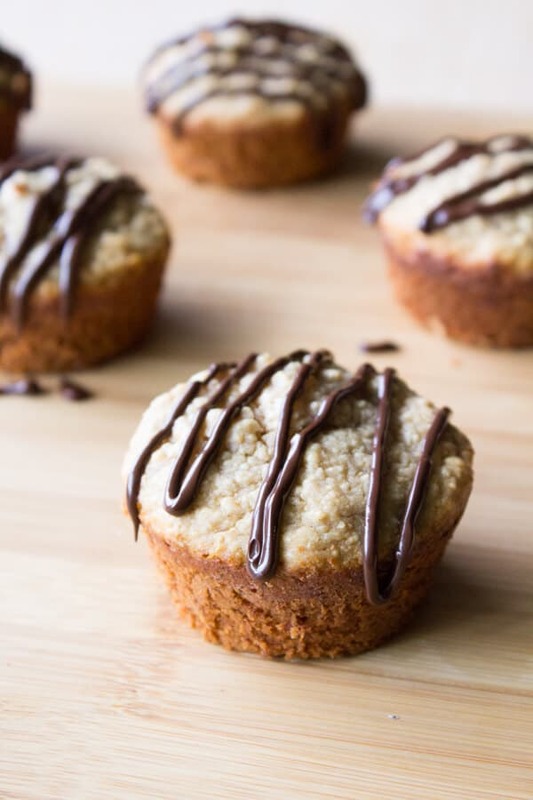 They’re a peanut butter cup in muffin form that you can eat for breakfast. 6. 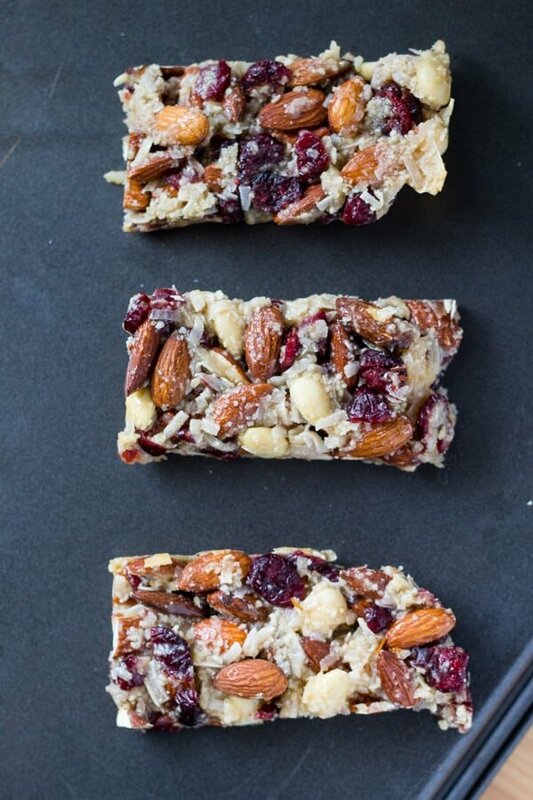 Cranberry Almond Bars These snack bars are completely addictive – and a whole lot easier on your wallet than the pre-packaged variety. They’re also grain free! 7. 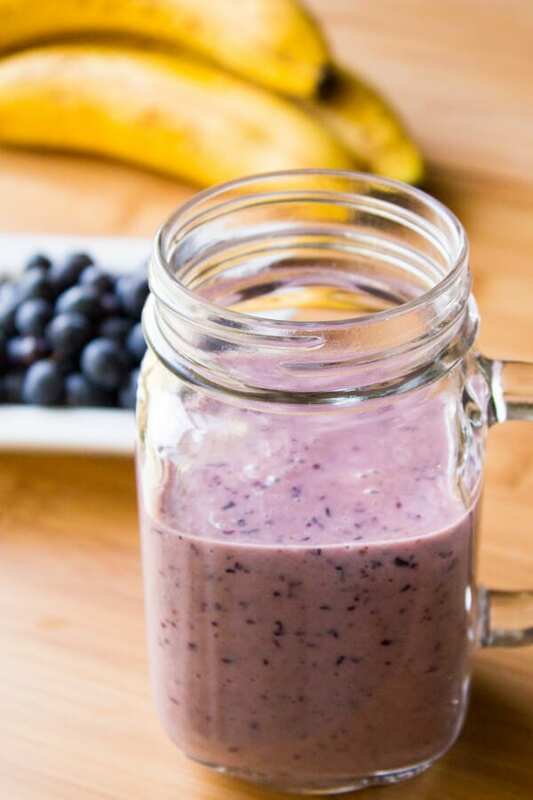 Blueberry Banana Smoothie I first made this healthy smoothie way back last summer and lately you guys have been loving the recipe on Pinterest. It’s so pretty with its purple-y color – plus its a super easy breakfast to take on the go. 8. Peanut Butter Chocolate Energy Bites Can you tell yet that I’m in love with peanut butter? 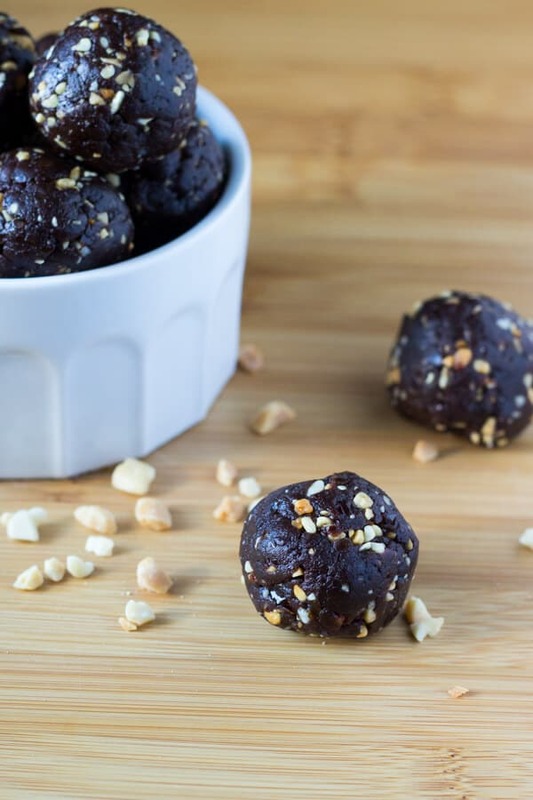 These energy bites actually taste like a delicious little fudge-y bite of chocolate peanut butter deliciousness – but they’re sweetened naturally & are grain free. 9. 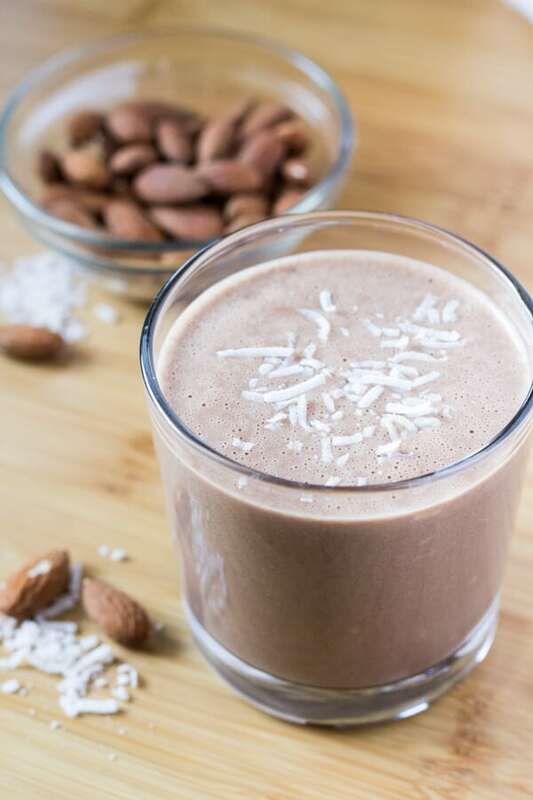 Chocolate Almond Coconut Shake I love the flavor combo of this delicious breakfast shake – it’s not too sweet, plus the almond butter gives you extra protein. 10. Peanut Butter Pancakes Can you tell yet how much I love peanut butter? 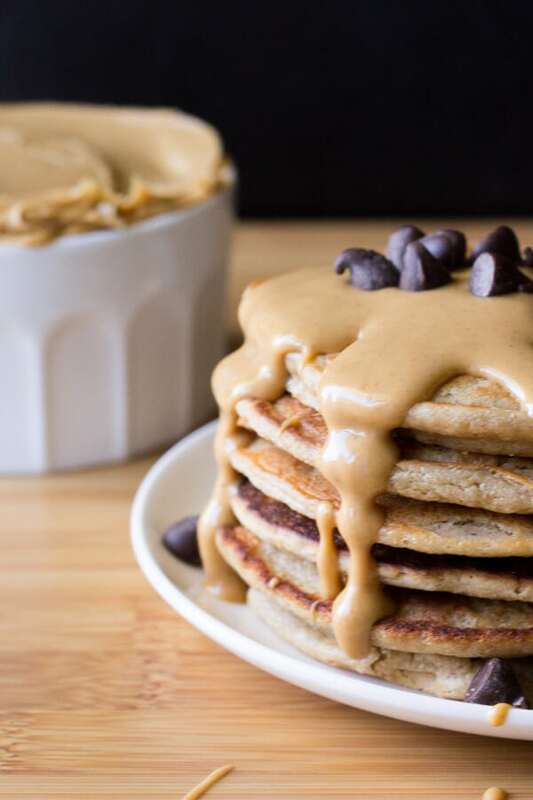 These pancakes seem like a decadent breakfast but they’re actually a lightened up recipe. Dairy free, gluten free & no refined sugars – they’re one of the most popular recipes on Just So Tasty for good reason!